Leatherhead’s Annual Duck Race is on Sunday 28 June on the River Mole by the bridge in Bridge St Leatherhead. It starts at 2.00 with lots of fun for all the family from ages 2 – 102!! There will be 6 individual races, a final (all the winners from those 6 races) and a mass duck race at the end when hundreds of little yellow ducks are released into the river. The first few over the finishing line win prizes. Place your bets on your favourite ducks and hopefully win some money. 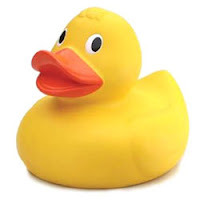 Ducks for the mass race will be on sale in the Swan Centre at £1.00 each on Thursdays and Saturdays starting on 11 June. There will be a children’s entertainer on site and ice creams for sale. Please call 01372 376358 or 363652 for more details. British Science Festival 5-10 September 2009. The British Science Festival (formerly the BA Festival of Science) is one of Europe’s largest science festivals, taking place each September. The Festival is in a different location in the UK each year, bringing you the latest in science, technology and engineering. Our week long, jam-packed programme offers the biggest celebration of science, engineering and technology in Europe. With loads of events for everyone, thousands of people join us for talks, plays, debates, hands-on activities and more. This year the Festival is hosted by the University of Surrey in Guildford from 5-10 September with events taking place across Surrey. See British Science Association website for more details …. Community leaders in Surrey turned out in force today to back calls for the Prime Minister to reverse Hazel Blears’ decision to cut the Surrey Police’s budget. Around 50 local people – including the local MP Jeremy Hunt, councillors and community-leaders joined forces at a meeting in Farnham to throw their weight behind the Surrey Police Authority’s (SPA) fight to challenge cuts that would result in the loss of 50 frontline operational posts. They agreed to petition the Prime Minister to reverse the capping order, which would cost £1.2m in rebilling to cut the Surrey Police budget by £1.6m. The audience, at The Old Court House, Farnham was addressed by Chief Constable Mark Rowley and the Authority chairman Peter Williams who explained the implications of the capping decision on the resilience of the Force and Authority, and the severe operational impact it will have, unless the Government decision is reversed. Secretary, Alan Johnson requesting urgent meetings. It was confirmed last month that the then Communities Secretary Hazel Blears intended to force Surrey Police Authority to reduce its precept level of Council Tax in 2009/10 and re-bill Surrey residents. This is despite Surrey being one of the most efficient and best-performing forces in the country. Shahid Malik MP, Minister for Local Government, pledged his commitment to continue with the capping measures during a debate with Surrey MPs in Westminster Hall earlier this week, despite hearing how Surrey Police Authority already has the lowest expenditure per Band D property of any Police Authority in the country – being described by the Audit Commission as ‘providing excellent value for money to the taxpayer’. This capping and rebilling process will cost £1.2m to carry out to return £1.6m to the taxpayer. This budget reduction is forcing the Chief Constable to cut 35 operational police officer and 15 operational staff posts in addition to the 144 staff posts already lost under an extremely tough budget for 2009/10 – a total of 194. As part of the fight to get the Government to reverse its decision to cap the Authority, an application for a Judicial Review has now been lodged with the High Court. The Police Authority is awaiting confirmation of a date for this to be heard. This week, ten Surrey MPs took part in a debate at Westminster, called by Sir Paul Beresford the MP for Mole Valley, during which they were outspoken in their criticism of the plan to inflict the budget cut. Police Authority Chair Peter Williams said: “It is a sad situation that we have been forced to apply for a Judicial Review but as the Government has repeatedly refused to meet with us to try and resolve the situation in a sensible way that serves the best interests of Surrey, we have been left with no other choice. This decision defies financial logic – it will return less than a penny a day to the average Band D Surrey household, but will result in significant and permanent cuts to the number of police officers protecting their communities. We cannot allow this madness to go unchallenged. Chief Constable Mark Rowley said: “I am immensely grateful to the people who gave up their free time to attend this meeting and support Surrey Police and Surrey Police Authority because they value and have confidence in their local policing and do not want it to deteriorate. “I am also grateful to Sir Ray Tindle for organising the meeting, which is so important in allowing local people a voice to express their support. There has been an overwhelming response to Surrey Police’s plight so far from partner agencies, businesses and the county’s residents. Both the Force and the Authority have received requests from individuals and groups across the county asking what help they can give in support of our challenge. In addition, a petition on Surrey Police Authority’s website protesting against the Government’s decision to cap the budget has attracted more than 6,000 signatures in the space of two weeks. Not sure why the petition is not on the Number 10 site. Members of the Association should follow the guidance of the Chair in the conduct of the meeting. Members must be courteous to each other at all times and allow each other to speak. Members must remember that the purpose of the meeting is to benefit residents generally and not specific individuals. Members shall not bring the Association into disrepute. Members should not speak or write on behalf of the Association without the prior agreement of the Committee. Any correspondence sent on behalf of the Association should be made available to all members of the Committee before it is sent. Members shall at all times work within the rules laid down in the Constitution. Members should observe collective responsibility for Committee decisions. A member who telephones, mails or otherwise contacts the County Council, District Council or any other body as a private individual should make no reference in such correspondence to his or her being a member of the Committee of the Leatherhead Residents’ Association. Members shall disclose any interest, whether personal or on behalf of any group they represent, that they consider could affect or influence their approach to the matter under discussion. Committee members may not represent a political party in their role as a Committee Member. Members should respect all individual residents’ confidentiality. Information about individual residents will not be discussed at public meetings. If any member attending a meeting does not abide by the code of conduct, they will be warned by the Chair that if they break the code again they may be asked to leave the meeting. The Chair may give the person concerned a further warning ( a maximum of two warnings in any one meeting and /or two consecutive meetings ). If the person continues to ignore these Rules and refuses to leave the meeting after being warned by the Chair then the Chair has the power to close the meeting. A complaint that a Committee member has failed to abide by the Code of Conduct despite receiving two warnings, or has committed an act that is considered to be gross misconduct, should be tabled at a Committee meeting called for this purpose only. All parties must be notified in writing in advance and care must be taken to ensure that all concerned parties are given a fair hearing. On the findings of this hearing, the Committee can suspend a member subject to ratification of the next General Meeting. If the General Meeting does ratify the suspension then the member is excluded from applying for a committee position for one year. Committee members who fail to attend three consecutive General or Committee meetings without a written apology or good reason will automatically be removed as a member of the Committee. Polesden Lacey Shakespeare will present four performances of ‘A Midsummer Night’s Dream’ in the idyllic surroundings of Polesden Lacey ,Bookham on the glorious summer afternoons of Sat 11th, Sun 12th , Sat 18th and Sunday 19th starting at 3 pm. Even the weather forecasters predict a long hot summer to bless our efforts. A superb cast of local actors have been recruited and are hard at work rehearsing. The production is directed and adapted by Margaret Hunter to make it accessible to all audience members young or old, with entertainment before and during the interval. Join friends and family in what will be a memorable event. Bring a picnic and relax in the elegant parkland. Get your tickets now to avoid delays when the gates to our theatre area are opened at 2 pm. We are providing entertainment before the performance and you would not want to miss this. At such events we know that audience members like to bring their own seating. Could we ask that such seating is normal height so as not to interfere with other’s enjoyment? A limited amount of seating will be available on site. The distinguished actor, Richard Briers CBE has kindly agreed to become our patron. We look forward to seeing him at one of our productions. The National Trust is waiving car park charges for those attending the production. Why not take the opportunity of visiting the house, restaurant and shops and make a perfect summer’s day? I intended this to be seen by Councillors and Officers of the MVDC but computer problems kept it from being seen. I am now opening this to a wider audience for all to see. Have your own say now. I had to read the minutes of the Ashtead/Leatherhead Forum to ﬁnd that the Council’s PREFERRED OPTION for the Leatherhead High Street was the licensing of the Public Highway to local restaurants for the placement of tables and chairs to create a SMOKING AREA for diners. The concept of extending hours for outside dining was occasionally mentioned at meetings but not in relationship with term ‘preferred option’. For years I have attended public meetings and heard counsellors and representatives of Leatherhead Area Partnership(LAP) and the Leatherhead Residents’ Association(LRA) deplore the condition of the surface of the High Street. Long lists of the unsafe and unsightly areas of the pavement have been made on several occasions by counsellors. The LAP was convinced that the only way forward was to take a comprehensive look at the entire area and to remove clutter, repair pavements and in general make the Public Highway a safer more attractive place to be. To this end, Di Stirling, Chair of the LAP Highways Group, wrote a comprehensive report stating her recommendations. Beyond this every aspect of the project seems to be shrouded in secrecy. Colin Langley did report to the Committee of the Residents’ Association in January that the Council had plans for the High Street. When some concern was voiced he had no details to report. I now believe he thought there would be a public consultation before the preferred option became an accepted concept. In May David Sharland reported to the LRA’s General Meeting that plans for the redevelopment of the High Street would be unveiled at the May meeting of the Leatherhead/Ashtead Forum. We were assured that ‘all will be revealed’. At this same LRA meeting a proposal for the extension of hours to have chairs on the Public Highway in front of Wetherspoon’s was discussed. Of particular concern were the number of times the licensing board have had to deal with the pub, the litter outside, the comments their customers made to passersby, and the harassment of disabled people were listed as objections to extended hours. In spite of these strong objections, a vote of 11 to 7 was in favour of extended hours if several ﬁrm conditions were in place.The implication for safety of pedestrians was not considered before this vote. Further examination of the Wetherspoon’s proposal made me aware that the Leader of the Council had written to 5 Leatherhead pubs and restaurants suggesting they seek permission to extend hours diners could sit on the High Street in order to boost the night economy. At a time when night time trade in Leatherhead seems to be quite good and morning and afternoon trade in Leatherhead seems almost nonexistent, it would appear preferential to favour pubs and restaurants over the struggling shops. It was almost unbelievable to read in the minutes of the Ashted /Leatherhead Forum that this has been MVDC’S ‘preferred option’ since November. Cllr. Hunt’s statement about extended hours for placement of tables on the High Street actually made no sense. He said at the 11th May meeting that extending the placement of chairs would help boost trade for local shops. I spoke to him after the meeting to correct this misconception: You cannot increase footfall to shops when they are in fact closed. This nonsense appeared in the minutes to the Ashtead /Leatherhead Forum and also in the Leatherhead Advertiser. Some of us have thought for years that trade to both restaurants and shops would be boosted if cars were allowed on the High Street after 4:30 (a return to what the Civic Trust recommended to help the failing economy of Leatherhead in their 1990 report on our town). This use of the highway was considered a compromise that many of us found quite helpful. Unfortunately, SCC’s failure to enforce the pedestrianization of the High Street between 10:00 and 4:30 for a 6-year period led to having the compromise disappear. It makes perfect sense to think that a parent who was allowed to conveniently park in Leatherhead would stop after school, before the shops close at 5:00, `and be tempted to buy a meal for her children at one of the restaurants. We all patiently sat through two long presentations (55 and 40 minutes) with the High Street-unveiling pushed to the last position. With 5 minutes of scheduled time Cllr. Hunt informed us that SCC’s Highway Department required a barrier to protect customers seated at tables. A four-foot high prototype was on display. It looked something like a cage and we were told that it was to be purchased, decorated and maintained by the restaurant owner. It would be an appalling addition to any High Street but particularly so considering how narrow our High Street is and how many possible restaurants (we were told 8) would be eligible to purchase the barriers. With the potential for 8 restaurants to decorate in their own colour and style the possibility for grossness became even more palpable. What we were not told was what would happen to the pedestrians when they were displaced by the barriers into the paths of cars and trucks that are allowed onto the High Street after 4:30. Only one surface on the Public Highway was designed for pedestrians. That is the pavement closest to the building that now provides a location for placing chairs and tables after 10 and before 4:30. This period does not cause a huge problem for pedestrians because they move into the centre of the road. The surface is far from perfect for walking because of the irregular bricks but it is much superior to the craggy bricks used to designate parking spaces. The centre of the road also puts pedestrians at a distance from smokers who are more likely to use outdoor seating. At its best the roadway is unsafe for walking because it has not been properly maintained by SSC. The campaign to remove chewing gum has caused further damage because of the use of pressure sprayers. I spoke to a lifetime Leatherhead resident yesterday who reported that she had helped 3 people off the pavement due to falls in the last 2 weeks. She said in principle she was against the concept of sueing for damages, but that her advice now is to ‘sue the council.’ I certainly expected that the plans for the redevelopment of the High Street would have at its core a scheme for improving the surface of the High Street. You cannot talk sensibly about the placement of chairs on the High Street before you know how the surface will change. Only rumours have informed of the possible ways of dealing with the poor maintenance the High Street has experienced. I have not heard of a single method that will work. The one mentioned most often is the use of asphalt. You only have to look to London to see what happens to asphalt when it is applied over brick. The use of brick was a expensive option to make a High Street in a conservation area different from any backstreet in the country. It is a shame that subtle differences in colour were not used instead of the differences in texture that are now contributing to the number of falls on the High Street. months. Perhaps they are waiting for a sunny, summer evening. At the Ashtead and Leatherhead Forum there was an outcry to proclaim, ‘We have not been consulted.’ The chairman of the LRA, Hubert Carr, spoke at length to defend the right for consultation at a much earlier point in the development of Planning Strategy for our Town . The LRA has the membership and communications network for polling its members and getting signiﬁcant feedback. Even Colin Langley, who is he declared ‘Champion of the High Street’, stated that he has not been consulted. If the local residents’ had been consulted last November, we would have had a very different preferred option. 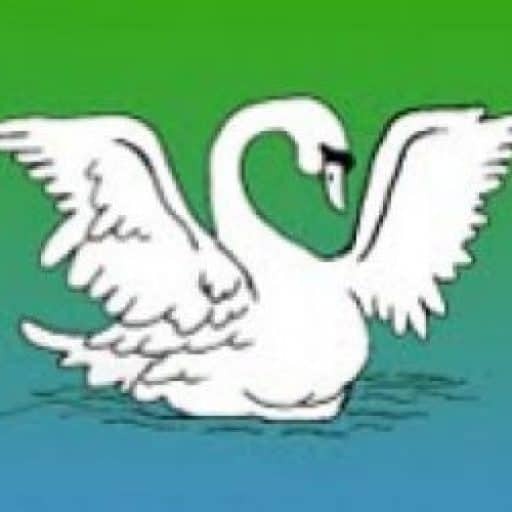 If the outcry at the Ashtead and Leatherhead Forum had been heard, a representative of the LAP and LRA would be attending Tuesday’s meeting. At the Council’s expense after the last High Street ﬁasco, a report by Dr.Whitelegg came to the conclusion that: Consultation in Leatherhead is severely lacking. Years later nothing has improved. The scheme for the ‘water’ feature at the west end of the High Street was determined by a few councillors including the Leader, representatives from SCC and MVDC, and a few planning ofﬁcers with some 106 money to spend on the most controversial area of Leatherhead’ the High Street. This process tore our town apart. On 26 May there will be a meeting of a few councillors including the leader,representatives from SCC and MVDC, and a few planning ofﬁcers with 106 money to spend on the most controversial area of Leatherhead, the High Street. It is time for change. Consult the residents earlier in the Planning Process so they can make a difference. This is an Eden Project initiative. The idea is that neighbourhoods across the UK sit down and enjoy a lunch together on Sunday 19th July. It’s being advertised on TV at the moment by MasterCard and Eden Project and has Local Government, Post Office and EDF backing. The River Mole Discovery Day will be taking place on the banks of the River Mole within the grounds of the Leatherhead Leisure Centre between 12.00 noon and 5.00 p.m. on Sunday 7th June. All events are free of charge and include demonstrations, exhibitions, guided walks, face painting story telling, competitions and much, much more.